Washington County is losing a tremendous asset in Murray – a fiscal stalwart and a consummate champion and protector of the taxpayer. I’m sad to see him depart, but I wish him the best in life following his public service. Inevitably, Murray’s position needs to be filled, and Washington County has tentatively decided to hire Manpower, a local staffing agency, to find Murray’s replacement. After county attornies review the contract with Manpower, the aforementioned contract is expected to be signed, according to Terry Baker, the current president of the Board of County Commissioners. It should be noted, emphatically, that replacing Murray will prove to be a difficult task, in that Murray, in my humble opinion, is irreplaceable. Nonetheless, the unenviable process must proceed. 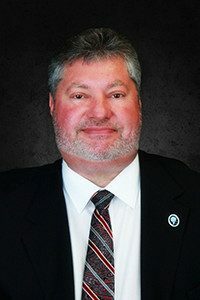 Two schools of thought have seemingly emerged in Murray’s replacement: the first group – the Tea Party types and the rather unbearable Republican Central Committee – believe that the search will cost entirely too much money and are urging county leaders to hire within. Apparently it is this group who believes that Donald Trump should extend his wall to surround all that borders Washington County, rejecting that insane notion that talent outside of Washington County couldn’t possibly exist. Case closed. The former group is looking to in-county residents like state Delegate Bill Wivell, a former county commissioner, whose fiscal and social conservatism would make even radio hack Sean Hannity blush, to fill Murray’s seat. The same group would also be perfectly content with a Terry Baker filling Murray’s seat. I’ve heard rumors that Delegate Wivell is rather bored in Annapolis and is looking to make a speedy return to county government faster than Donald Trump can deny his Russian connections. Wivell arguably has the credentials to replace Murray, and the job pays more than a state delegate position, that is if money is a compelling factor for Wivell (and I’m sure it is; I mean, why wouldn’t it be?). As far as Baker applying for the job, that would satisfy his constituency, but Baker is eyeing his options for 2018, so I’m told- be it a bid for state delegate or state senate (he would take on either Republicans Mike McKay or George Edwards, respectively), another bid for Congress in CD-6, or re-election to his current job. Baker recently retired from Washington County Public Schools; he has the time to do the job, so to speak. In another twist, Commissioner LeRoy Myers’ name has been tossed into the possible pool of candidates to replace Murray. The latter group of people, as mentioned above, are looking to Manpower to do its job and find someone without any ties to Washington County. Talent outside of Washington County does exist, according to multiple reports. But Washington County has a medically adverse reaction to anybody or anything that might challenge its conventional way of thinking. In other words, if you’re not in the good ol’ boy club, you’re out. Washington County will indubitably miss Greg Murray and his public service. Some in county government, however, may not. Rumors have been floating around the county for some time now that a few of the county commissioners have been pushing for Murray’s exit. Out of respect to Murray and his family, I have no interest dredging up the salacious gossip that’s been percolating among county government elsewhere. Just be aware that some of the current county commissioners have been aching to get Murray out the door for some time, despite the flowery comments the commissioners uttered to a Herald-Mail reporter. They, of course, will deny it, but they know the truth, and so do I. So who is your pick to replace Greg Murray? My bottom dollar is on Wivell. LeRoy Myers would be a fine choice, perhaps? Or maybe 2017 will be the year of the outsider.